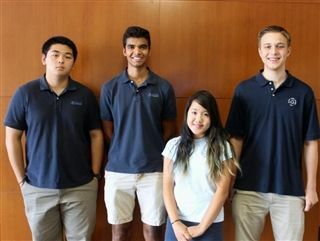 Seniors Juliana Fan, Tyler Lochan, Anthony Oliverio and Vincent Wang have been named Semifinalists in the 2016 National Merit Scholarship Program. The distinction of Semifinalist is based on the students' scores in the Preliminary SAT/National Merit Qualifying Test, and allows them to compete for Finalist status and scholarship awards totaling over $37 million. Congratulations, seniors!